Some superheroes battle scary villains. At Children’s Healthcare of Atlanta, our superheroes fight something much scarier—accidents and illnesses that create challenges most of us could never imagine. One superhero patient in particular, DJPitts, has overcome near impossible obstacles, and when he dons a cape, nothing is out of reach. DJ wore many capes during his six-month hospital stay after accidentally swallowing a dangerous engine cleaning material. From Batman and Superman capes to a homemade cape that proudly said “Super DJ,” the capes helped power DJ through the toughest of days. Armed with his extraordinary powers and donning his signature cape, DJ is going to show the world just how strong he is by making a 19-story building crumble to the ground on Saturday, Nov. 8. To help build DJ’s superhero confidence the day before the implosion, people across Atlanta will show support for DJ by wearing capes on Cape Day. Staff and patients at Children’s, media personalities, non-profit organizations, sports teams, government officials, schools, Atlanta landmarks, local businesses—basically, all of Atlanta is joining together to cheer on DJ. 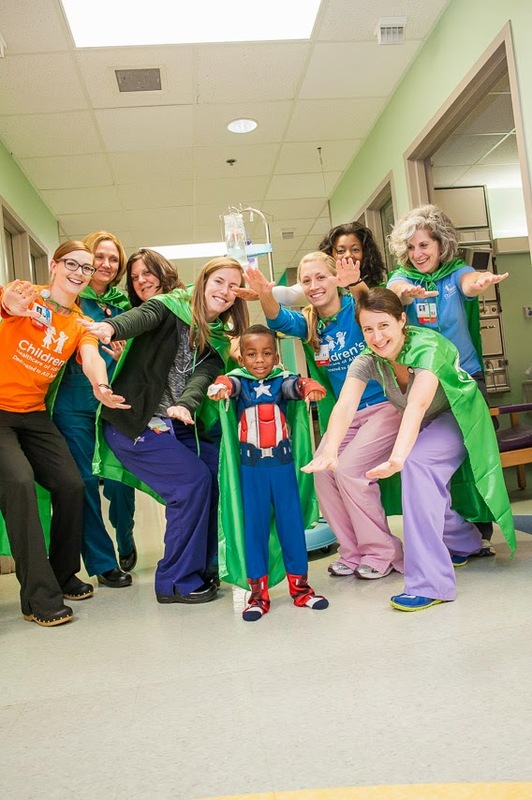 How can you show your support on Cape Day?On Cape Day, our goal is to surprise and delight DJ and the hundreds of kids in our hospitals with photos that show the Atlanta community wearing capes in their honor. Wear a cape to support kids and show DJ and all the patients at Children’s you support them. Host a cape making party in your classroom or at your office, and wear a cape on Cape Day. Post your own cape day photos using #CapeDayATL on social media to show your support for DJ and other superhero patients like him. Let students or employees show off their capes by hosting a parade or walk through the cafeteria or around the football field Nov. 7. 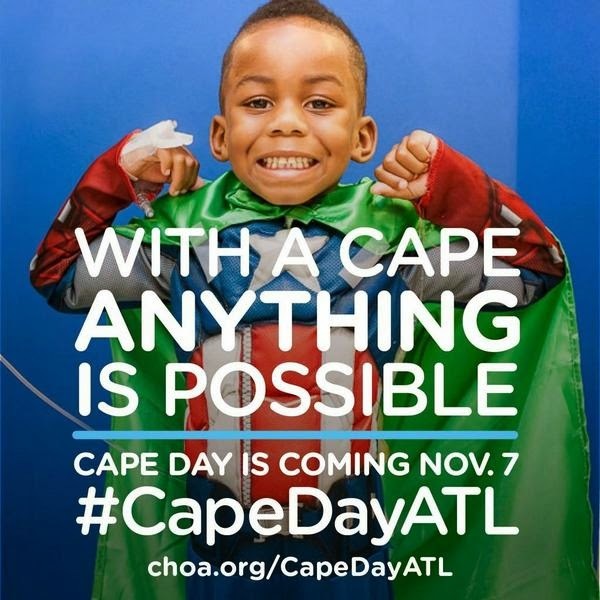 Help us find your photos by tagging them with #CapeDayATL on Facebook, Twitter and Instagram, and/or tagging our Facebook, Twitter and Instagram pages. Make a donation in honor of DJ and all the superheroes like him. Visit choa.org/capedayATL for tips on how to make a cape and how to get involved.